100% Match Bonus + 20 Free Spins For New & Existing Players At Lucky Club Casino! everyone a Safe and Happy Halloween! 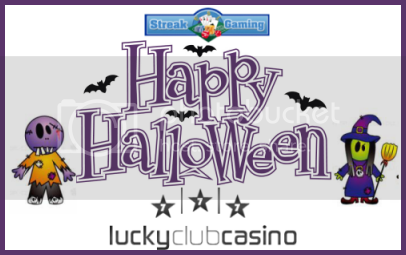 New and Existing Players a special Halloween Match Bonus! Claim your 100% Match Bonus + 20 Free Spins on Ancient Wonders Video Slot! Don't have an account at Lucky Club Casino? Click the link below to claim your exclusive $31 Free No Deposit Bonus!